Please see below for all the information you need to know about medical facilities and treatment in South Africa if you decide to retire to our beautiful shores. At any age medical facilities and treatment is important, but perhaps as we get older the prominence of their impotence is raised. We all want to know that in a time of illness or injury that we can access appropriate medical care and be looked after by professionals. Issues such as registration with Doctors, Dentists and the quality of facilities and associated costs are all factors that may influence your decision. For retirees heading to South Africa these are some of the most common areas we are asked about it and with this in mind we have asked Cindy Alfino from one of South Africa’s most respected insurance brokers, Incompass Insurance Consultants to supply us with some of the most common FAQ’s. Is it essential for retirees to have a private medical aid / insurance or will state hospitals suffice? While it is not a requirement in South Africa to have Medical Aid in place, it is most definitely recommended. Although the State hospitals have the expertise to be able to professionally assist in an emergency situation, the real concern is whether you will be allowed into the hospital at all. The State facilities are often over utilised and so there are long waiting periods that could render you without service – even in an emergency situation. Therefore the need for Medical Aid, even just a hospital plan, is very high. Can you describe how medical aid works? The South African Medical Aid system is very different to what you would have experienced from most other countries around the world. The base plans have hospital and chronic disease cover which will allow you access to private hospitals all around South Africa. The cover is usually split into -IN HOSPITAL- and -OUT OF HOSPITAL-, the higher plans include more cover for your out of hospital expenses. Unfortunately it becomes quite complex thereafter and I would recommend talking to a broker to explain it in further detail. What options are available on medical aid? There are a variety of different options out there, from base hospital plans that only cover you when you are admitted into hospital to the high end plans that would pay for out of hospital expenses including Doctors, Dentists, Specialist and Medication. What does medical aid typically cover? Being on a South African Medical Aid would allow you to go to a private hospital with the peace of mind that your stay will be covered (as long as it is pre-authorised). All Medical Aid’s are required by law to cover the Prescribed Minimum Benefits – this is a list of conditions and situations that are to paid for in full as they are usually emergency/life savings procedures. There is also cover for elective surgery that is not necessarily life threatening but is still recommended by your GP or specialist. Yes there are 2 different kinds of waiting periods that can be applied. The specialists in South Africa have been known to charge exorbitant fees for their services, so in an attempt to keep this regulated the Medical Aid’s have formulated a list of all the procedures available in South Africa, as well as a cost that they are willing to pay for this procedure. Unfortunately the Specialists still charge these high fees with the patient having to pay in the difference for their services. GAP cover would be able to top this up for you. It is imperative that you know how your plan works in this regard. Can you give us an idea of costs, say for a 65 year old couple? Can applicants be turned down for medical aid? No, it is not possible for the Medical Aid to refuse an applicant cover – this is why they have waiting periods in place. What’s the main difference between obtaining medical aid from a local provider rather than an overseas one? Mostly the cost factor. Overseas cover is a far higher price than the South African alternative, although the overseas is more likely to cover more than the South African option. What are the hospitals like in South Africa? The private hospitals in South Africa are immaculate, the staff are well trained, friendly and eager to help. Our facilities and Doctors rate among the best in the world. How do you register with a doctor or dentist in South Africa? Most providers would require that you call them to make an appointment, when you are there you would complete form regarding all of your particulars and then you would be on their file. You would not be required to stay with them if you would prefer to use a different provider. What does it typically cost to visit your Doctor? Prices vary depending on the Doctor but it is usually between R250 and R400 for a consultation. 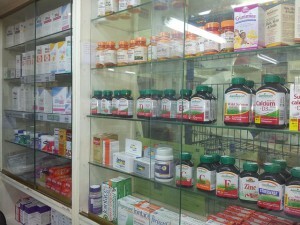 Are all medicines readily available in South Africa? It is unlikely that you would not be able to find your current medication here in South Africa, at the very least they would be able to provide you with an alternative that would be prescribed by your Doctor. How does ambulance services or emergency call outs work? You would need to call 084124 or 082911 to get them to come out to you. Is there typically an out of hours service with Doctors? It really depends on your Doctor, you would need to establish this with them at your first consultation. The other alternative would be to go to your closest emergency room at a hospital – which may not be covered by your medical aid. Are there any tips you can give those retirees moving to South Africa? It is so very important to speak to someone who knows about all the different providers available to you, so that you are not placed onto cover that is not right for you. It is possible to change your cover, but at the risk of further waiting periods being applied. If you need more help with your medical aid planning Incompass can be contacted directly here, they are also able to assist you with motor, home and household insurance.